The Vernon Building Society (Poynton) Band are delighted to announce that they have secured the services of Stig Mærsk to direct them at the North West Regional Championships in February, following the departure of Neil Samuel to Blackburn and Darwen Band. Born in Denmark, Stig was principal cornet with the Danish National Champion Band, Concord Brass, before concentrating on his studies and trumpet at the Danish Royal Academy. 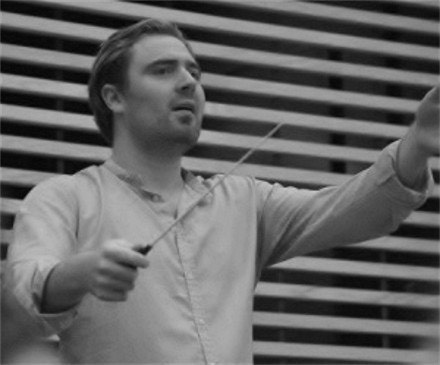 Since graduating he has played professionally with the Aarhus Symphony Orchestra and Band of the Danish Royal Guards and worked as Musical Director of The Aarhus Band and The Concord Band. In 2013 he was appointed as Musical Director of the National Youth Band of Denmark. Since moving to the UK, Stig has conducted Hepworth, Pemberton Old Wigan, Wakefield Metropolitan and Yorkshire Imps. Stig conducts several bands in Scandinavia, and has shared the contest stage with Göta Brass and Christianshavn Brass Band, and is currently working on a project with the elite group, Danish Concert Brass, which is a band consisting of invited players from the leading bands in Denmark. Stig was appointed to the position of Musical Director of the East Yorkshire Motor Services Band in February 2016. Conducting the band at the North of England areas when they qualified for London, Stig became the first Dane to conduct at the National Brass Band Championships, held at the Royal Albert Hall on October 8th, 2016. The band would also like to offer sincere thanks to resident conductor Iain McKnight for stepping in over Christmas, leading rehearsals and fronting a fantastic Christmas concert to a packed Civic Hall in Poynton. Preparation ahead of the North West Regional Championships is in full swing and Iain is working the band hard ahead of Stig's arrival. 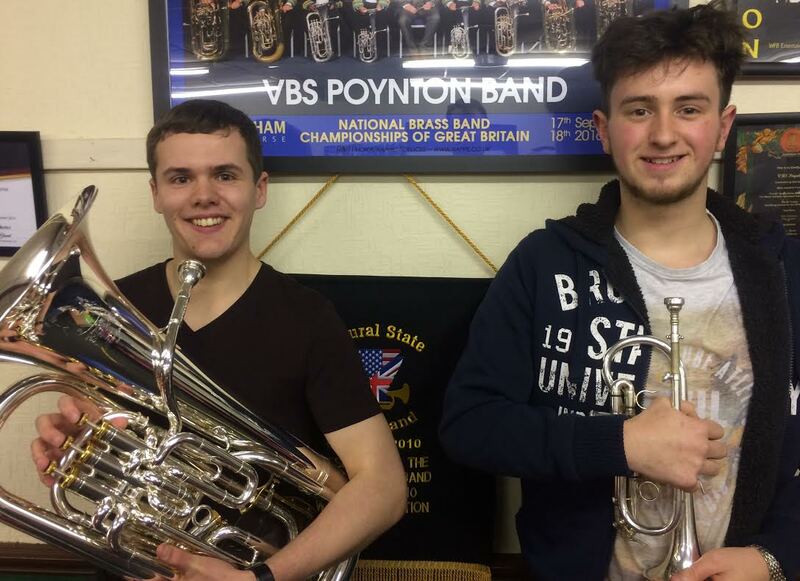 We are pleased to announce the signing of Will Dakin (soprano cornet) and Sam Noden (solo euphonium) ahead of the North West Regional Brass Band Championships at Blackpool’s Winter Gardens. We are especially pleased to welcome such fine, young players to our band. On behalf of everyone at VBS Poynton Band, we wish a very warm welcome to both Will and Sam and hope they have a long and happy time with us. Their signings move us closer to securing a full team for Blackpool, with just a few cornet seats left to fill. Both players will make their debut with band in concert at Boarshurst Band Club on 29th January before taking to the contest stage for the first time at the ‘area’ on 26th February. We suffered a major flood to the basement of our band room following the flash floods which caused such havoc in Poynton last Saturday (11th June). The band refuse to be down beat. On 18th September the band will be representing the North West at the National Finals when we hope to be crowned National Champions of the 1st Section. We continue to be busy raising funds to help towards the cost of attending the Finals. It is with deep sorrow that we announce the passing of Ray Booth. Ray had been associated with the band most of his life joining the band in 1948 - he used to play tenor horn. He was also on the committee and did lots of jobs when the band bought Clumber Road church. He was also a trustee before stepping down due to ill health. He was well known in the band world and also well known in Poynton. Ray will be greatly missed by all that knew him. Thanks for all the good times Ray! The Vernon Building Society (Poynton) Band has announced the appointment of Iain McKnight to the Solo Eb Bass chair and also as assistant MD, to work in conjunction with the Band's Musical Director, Neil Samuel. Iain grew up in Cornwall as a member of the St Austell Band, but moved to the North West in 2003 to study at the University of Salford under, amongst others, Peter Graham and David King. He was the recipient of the Roy Newsome award for conducting in 2006. Following a ten-year career at Leyland Band, Iain was appointed Musical Director of the Stockport Schools Senior Band in September. He has previously held positions as MD at Lostock Hall and Flixton bands as well as guest conducting appearances with bands such as Hebden Bridge and St Austell. Commenting on Iain's arrival, MD Neil Samuel told us: "I'm thrilled to welcome such an experienced player and conductor to the band. Iain was kind enough to fill in for me and take rehearsals leading up to the North West Area and the feedback from the band was excellent. When I returned the following rehearsal it was clear that the band had been worked hard". "I am really pleased to be joining the band at this time," added Iain. "There is a great deal of talent at Poynton, as evidenced by our success at the recent North West Regional Championships. Neil is the driving force behind the band and I look forward to supporting him by fulfilling conducting duties when work calls him away from the bandroom. With appearances at the Spring Festival and National Finals in 2016 there is certainly much to look forward to, and I'm very excited by the opportunity to work with the band both as player and conductor." The North West will send a brace of strong contenders to Cheltenham after Vernon Building Society Poynton and Rainford produced 'Essays' of technical and musical character to gain the qualification marks from judges Colin Hardy and David Hirst. Edward Gregson's work proved a deceptively transparent ask of the fourteen contenders; each of its three sections requiring the mastery of contrasting styles and technical security - especially the central 'Soliloquy' with its tranquil echoes of Gilbert Vinter. As a result, by the time many gave a rousing 'Epigram' to close, qualification chances had long been lost, whilst others could not match execution to intent as nervousness and a litany of unforced errors proved fatal. The judges gave concise pre-results remarks - noting the challenges and pitfalls encountered, although they didn't mention the surprisingly poor levels of intonation which must have undermined a number of accounts. However, for Vernon Building Society Poynton, 'Essay' proved to be a red letter day; with victory sending them to the Finals for the first time since 2004 as they captured a first Area title since 1975. "We're thrilled to have won such a hard fought contest," MD Neil Samuel told 4BR. "We put the hard work in to master the difficult basics - especially note lengths and tempos, and we were lucky to have such gifted players to pull off the difficult solos with ease." He added: "The piece appears easy, but it isn't. The tempos dictate the need for accuracy and clear, non-aggressive articulation. That's what we aimed to achieve. I'm a very proud conductor, as we have continued to move in the right direction and are making massive steps forward with every contest." Those steps also enabled Poynton to overcome an excellent number 1 draw marker from rivals Rainford.